Taking fish oil for Crossfit can really help in your quest to be all you can be and build the body you desire. This is why it’s on our list of the best Crossfit supplements. 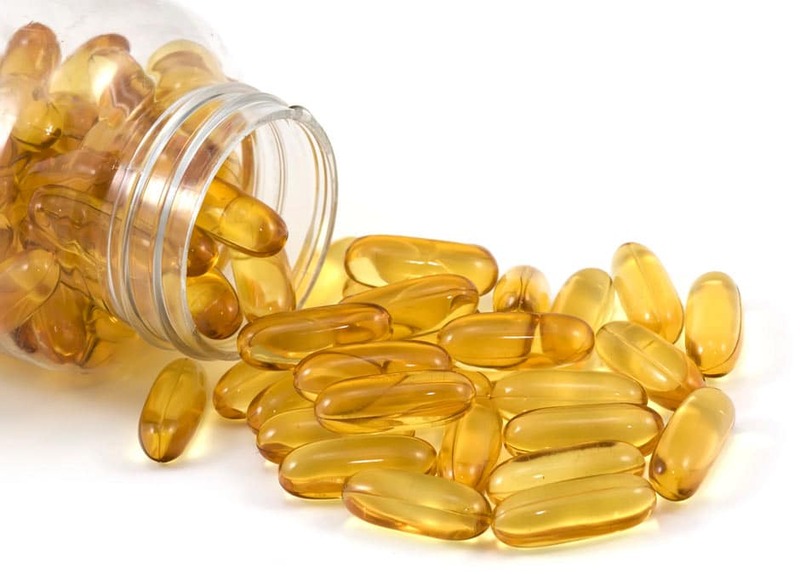 How taking fish oil can help me lose fat, perform better, train harder, and recover faster. 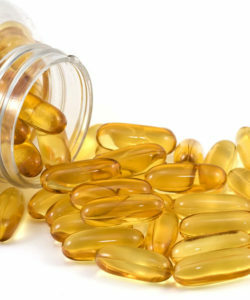 How much fish oil you need to take for optimal results. Which fish oil supplement we recommend. Studies show that taking fish oil can help your performance during intense WODs. This means you will be able to put more effort into every set and rep and recover faster between sets. Researchers find that the omega 3 fats in fish oil decrease the amount of oxygen your muscles need when they’re working hard. The less oxygen needed, the more that’s available for the rest of your body making intense training and recovery more efficient. Taking a fish oil supplement lessens the trauma inflicted on your body during a WOD. This means taking it can help you recover faster post-workout and be ready attack your next session sooner. The way the omega 3 fats in fish oil do this is by reducing exercise-induced inflammation. The less inflamed your muscles are decreases the likelihood you’ll feel sore and tight after a hard training session. I know you like to push to keep improving your performance. Being able to train hard regularly requires a healthy immune system. Without it, you are more likely to become sick and/or overtrained after periods of intense training. Research shows that taking 3 grams before a workout keeps your immune system strong, even after a tough workout. Give it a try before your next Murph, Nancy or other demanding WOD and see for yourself how you feel afterward. Yes, you read the headline above correctly. Taking a fish oil for Crossfit regularly can help you build muscle. All on its own. Even without lifting weights, drinking protein shakes, or loading your muscles with creatine. Results from multiple studies find taking fish oil daily builds muscle. Granted, it’s not going to pack on 10 pounds overnight. but can help you gain 2-3 pounds of lean muscle in only 4-6 weeks. This increase in muscle doesn’t include what you may gain otherwise. Think of it as bonus muscle for looking and performing better. Plus, you get all of the additional benefits mentioned in this article. In addition to helping you add a little extra muscle, this supplement from the sea makes it easier to shed excess body fat. Researchers believe one of the ways it helps you lose fat by speeding your metabolism so your body burns more calories. The other way it may help you lose weight is by making the cells in your body more sensitive to the hormone insulin. This increased insulin sensitivity may help our body better utilize the food we eat so it’s less likely to be stored as excess fat. Crossfit workouts require you to stay focused. Whether it’s a heavy set of thrusters, muscle ups, or box jumps you need to be able to concentrate on using good technique on every rep to perform your best. As you do more reps, fatigue will begin to set in, making it harder to keep your mind on each rep. Supplementing with fish oil helps keep your head right, so you don’t miss that rep due to mental fatigue. In a study of elite Spanish women’s soccer players, those taking 3.5 grams of fish oil a day had faster reaction times in a variety of tests. This suggests that in sports like Crossfit where you regularly have to react quickly to get a jump on your competition, fish oil can give you an edge. Last but certainly not least, regularly taking fish oil makes it easier to avoid sugar and carbohydrate rich foods. Studies show that it does this by decrease cravings for sugar and carbohydrate rich foods. Fish oil also helps you stay full longer between meals, making it less likely you’ll eat the wrong foods. Over time, this can help you stay on track with your diet so your performance and physique don’t suffer from too frequent cravings induced binges on doughnuts, pasta, and pizza. How Much Fish Oil Should You Take For Crossfit? Current research suggests taking about 3 grams of fish oil daily is required for optimal results. This is in line with the dosages recommended by fish oil experts like Dr. Barry Sears. Which Fish Oil Supplement Is Best For Crossfit? 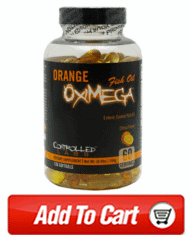 After reviewing dozens of fish oil supplements, our choice for the best is Controlled Labs Oximega. Its high dose of EPA and DHA in each softgel means you only need to take a few to get your daily dose. It’s purified to ensure every softgel contains the highest amount of omega 3 fatty acids EPA and DHA and no potentially harmful ingredients. There are no fillers or worthless ingredients in this supplement. Every softgel contains nothing but fish oil. It’s orange flavor eliminates any fishy aftertaste. Click here to buy Oximega from our online store. How Should You Take Your Fish Oil? While I can’t confirm this scientifically, it’s probably best to take fish oil with other food. I do know from personal experience that am much less likely to experience any stomach discomfort when I take fish oil with food. Your own experience may be different but doing so is erring on the safe side.